The Chilbury Ladies’ Choir written by Jennifer Ryan, publisher The Borough Press, is available from the 23rd February 2017 in ebook, hardcover, audio download and audio CD format. I have just finished reading this delightful, uplifting, inspiring, heart warming novel and I’m flabbergasted that The Chilbury Ladies’ Choir is Jennifer Ryan’s first novel. The words written by Jennifer Ryan were so profound I could visualise the scenes and characters in my head played out on a big screen and I’m hoping one day we will get the chance to see this wonderful story on our TV screens. 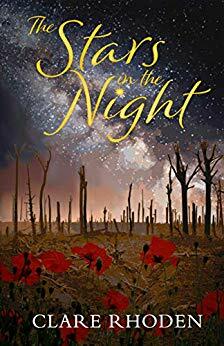 This story is set in 1940 in a quiet, sleepy village in Kent that up-to-yet hasn’t seen much devastation with the war. Most of the men in the village have joined up with the war help so the village is pretty much left with just the women to hold the fort. The Vicar has declared that the choir is to close due to all the male voices currently indisposed. The ladies of the choir are not pleased and feel lost without the choir. The ladies between themselves and with the help of Prim, a music tutor who has just moved to the village, decide to keep the choir up and running. The Chilbury Ladies’ Choir is born and sets to keep spirits up during this unsettling time. The joy of singing together in a choir brings the ladies of the village together and the worries of those missing loved ones are shared. The choir becomes a formidable force and gain strength within themselves and their voices become clearer and sweeter. Diary keeping was encouraged in these tough times to write down their thoughts, their daily routines and rituals, their hope for the future. I loved how the author, Jennifer Ryan, split each chapter up with these journal entries from different characters in the story. We see the story set out from different perspectives. From women and girls of all ages seeing the war with different eyes. One young woman in particular in the village was using the war and the choir to cover for the most immoral agreement between one of the village’s high ranked and obnoxious men and herself. Greed was in the forefront between these two unscrupulous people. Disaster was to strike shattering the very soul of the village but the ladies of the choir came together offering respite for themselves and also giving hope and encouragement to others. You’ll Be Thinking of Me written by Densie Webb, publisher Soul Mate Publishing, is available NOW in ebook, paperback and audio download format. The ebook is also included in the kindleunlimited scheme. A chance encounter with a celebrity, an impromptu video, and a shiny new espresso machine. It all added up to a juicy tale for 24-year-old Rachael Allen to share with friends. But when her best friend posts the video online, bizarre threats, home break-ins, and deadly gifts from an obsessed fan follow close behind. Mick Sullivan, the star in her video, offers to help and in the process, Rachael discovers that despite his reputation as a player of Olympian caliber, he’s down-to-earth—and emotionally damaged. He has secrets; some he’s shared only with his pseudo best friend. Others he’s shared with no one. But there’s one secret he’s hidden from himself, washed away by too many beers. Despite wildly divergent life paths, their shared southern upbringing (and a passion for good music) creates a common thread that draws them together. As the threats escalate, and their relationship deepens, Rachael struggles to accept Mick’s past—and his present. And she is forced to confront her own obsessive love to ultimately decide if being with Mick Sullivan is worth the collateral damage. YOU’LL BE THINKING OF ME is the story of Rachael’s serendipitous encounter with a celebrity, her brush with obsessive love, and the bittersweet gift left behind by the very person fixated on destroying her life. You’ll Be Thinking of Me is Densie Webb’s debut novel and after reading this dark, edgy romance I’m looking forward to more from Densie Webb; an author to look out for. This is a dark, edgy romance detailing the full extent someone’s obsession will take them to which draws them onto a downhill cycle of self-destruction and anyone and anything that get’s in their way. Rachael’s chance encounter with a celebrity brings her into danger. The 24 year old was so excited and also dumbstruck to have met actor Michael Sullivan that the side effects are almost as unbelievable. When Rachael first starts receiving threats she sorts of brushes them to the side but when tragedy strikes at her own door she can’t ignore them anymore. Terrified and distraught she takes the evidence to the police but after receiving a muted response from them she goes to Michael Sullivan’s agency address and demands to see someone. Michael casually walks in during this and offers to help Rachael and her family. This offer of help unbeknown to Rachael and Michael brings them both in more danger. However, this unexpected act of chivalry from Michael brings him and Rachael closer together and we get to hear about the ugly side of fame but also about Michael’s past. Rachael is a sort of grounding influence on him. Brenda, the young woman obsessed with Michael, is very deeply disturbed and has witnessed terrible things in her past. We don’t get to see this side of Brenda until later on and it makes you feel a little sympathetic with her. However, Brenda is so obsessed with Michael she can’t see anyway out of this road of destruction she’s led herself on. Even with the help of a counselor Brenda refuses to open up about her feelings. This road of destruction is very dark and deadly and you don’t really know what is going to happen next. Girl 99 written by Andy Jones, publisher Lake Union Publishing, is available NOW in ebook, paperback and audio download format. I was pleased to be involved in the blogtour yesterday with an extract from the book and you can read this post here. This is my first introduction to Andy Jones work and I really enjoyed this romcom. A modern day man’s bird’s eye view (get it!) of dating, life, relationships, families, love. I loved the honesty in the author’s writing it was real and relatable. Through all the fun elements of the story there were some very poignant moments that you could feel the vulnerability in Tom, the main character. Tom has just recently split with his girlfriend Sadie and at the moment they both share the use of their mini car. This however, was to prove disastrous. Whilst Tom was out with his friend El the subject of his love life cropped up. El set’s a goal with Tom, a bet with a £1000 wager to bed his 100th fair lady by a certain date. El is terminally ill with Huntington’s disease, the disease is slowly taking over his body and mind which makes him talk very frankly. The relationship Tom and El have is very endearing, one minute they can be having a right good laugh and a joke the next Tom will show his caring side with El. It’s lovely but also very touching and sad. Tom’s bet was on it’s way to the goal and at first Tom was quite complacent and enjoying himself. However, he starts to see the challenge as a chore/obstacle and it starts messing with his life with almost disastrous results. This change of thought seems to coincide with Tom’s developing friendship with Verity. Verity is different to all the girls he’s met before and he feels kind of shy around her. Tom’s relationship with his dad and sister was wonderful, heart warming and tragic to read. These little interludes back with his family are very grounding for Tom. Jollybrew is a luxury and ethically sourced tea company based in Marlow, Buckinghamshire. The Team at Jollybrew do an excellent tea in the post service and with all UK orders there is free delivery with orders over £30 using code UKFREE30. I first ordered and reviewed Jollybrew back in September 2016 my blogpost can be found here: Jolly Good Tea post: Jollybrew tea review and Q & A with the Team. I’ve been adding to my Jollybrew collection regularly and when I heard that the team had blended a new brew I had to place an order. Please let me introduce you to Lime Regis, a caffeine free herbal tea. Turkey, Egypt, Germany, China, Thailand and the USA. Apple pieces, Rosehip pieces, Hibiscus pieces, Lemon pieces, Lime pieces, Peppermint leaves, Lime leaves and Natural Flavours. Put 1-2 generous teaspoons of loose leaf tea per cup of water in the teapot. Pour freshly boiled water over tea. Ideal brewing temperature – 100 degrees. Steep for about 5-10 minutes. Milk and sugar not recommended. I’m enjoying my herbal tea even more and especially as it’s caffeine free it’s a drink you can enjoy any time of the day. The first hit you get is the zesty aroma from the dried fruit and herbs, it’s quite uplifting. Steeped for a good 5 minutes it develops into a lovely deep pink colour and you can taste the blend of fruits and leaves. There is a wonderful zesty sparkle with this tea and it would be equally good served hot and chilled as an ice tea in warmer times. The tea is only available in a sample pack at the moment but I’m hoping it will be housed in one of Jollybrew tins soon. All opinions are my own and no content may be copied. However, the product owner may use elements of my review for quotes. Girl 99 written by Andy Jones, publisher Lake Union Publishing, is available in ebook, paperback and audio download format from 14th February 2017. Revised edition: This edition of Girl 99 includes editorial revisions. I am so pleased to be involved in the blogtour promoting and celebrating the launch of the revised edition of Andy Jones novel Girl 99. Andy Jones has kindly allowed me to share an extract from his novel. All the hosts on the tour will be sharing a different extract. My extract is titled ‘The Bet’. This extract sets up Tom’s whole ill-fated mission – his friend in this scene, El, is suffering from Huntington’s disease, which goes some way to explaining Tom’s rather eccentric behaviour. ‘Did Phil cook Christmas dinner?’ I ask, sensing where this is going and not liking the look of the neighbourhood. I take a long sip of my Tsingtao. ‘Do you know how many people I’ve slept with?’ El asks. I sip more beer and shrug. I give El the finger. ‘I think that’s sweet,’ I say. And this is how it goes for the next thirty-several minutes. I try, numerous times, to change topic, but El’s train of thought is locomotive and will not be derailed. I can’t wait to share my review of this novel in the next couple of days. Let’s Be Just Friends (book 1) and Friend Zone (book 2) written and self-published by Camilla Isley are available now in ebook and paperback format. Rose Atwood has been in love with her best friend for years, and she’s tired of keeping her feelings under wraps for fear of getting hurt. Being Tyler’s best friend is becoming more difficult with every passing year and every new woman in his life–especially Georgiana Smithson, a snotty, beautiful girl who’s in Law School with them. When Rose, dumped by her long-term boyfriend, moves temporarily into Tyler’s apartment, tension spikes. Georgiana wants Rose out of the house. Rose wants Georgiana out of Tyler’s life. And Tyler… well, he doesn’t really know what he wants. Let’s Be Just Friends is a fast paced, captivating college romance that will keep you glued to the pages with humor, heartbreak, and romance. It’s a story about friendship, love, and the choices we make. Tyler and Rose are two best friends, who end up tangled in a college love triangle when they become friends with benefits. Enjoy this light new adult read. Alice Brown fell in love with Jack the day she moved into her freshman dorm. Problem is, she’s been stuck in the friend zone ever since. After another meaningless breakup, she’s ready to confess her feelings to Jack. Jack Sullivan has mistaken friendship for love once before and has vowed never to do it again. A varsity sports player, he’s determined to enjoy college with no strings attached. Peter Wells is Jack’s best wingman. He enjoys his popularity as team captain and when he meets Alice, he’s ready to steal her heart. When Jack sees Alice and Peter together, jealousy hits him hard. But will he break his vow to never date a friend? Meet new characters and catch up with old ones in the second book in the Just Friends series. I really enjoyed this mini series by Camilla Isley. 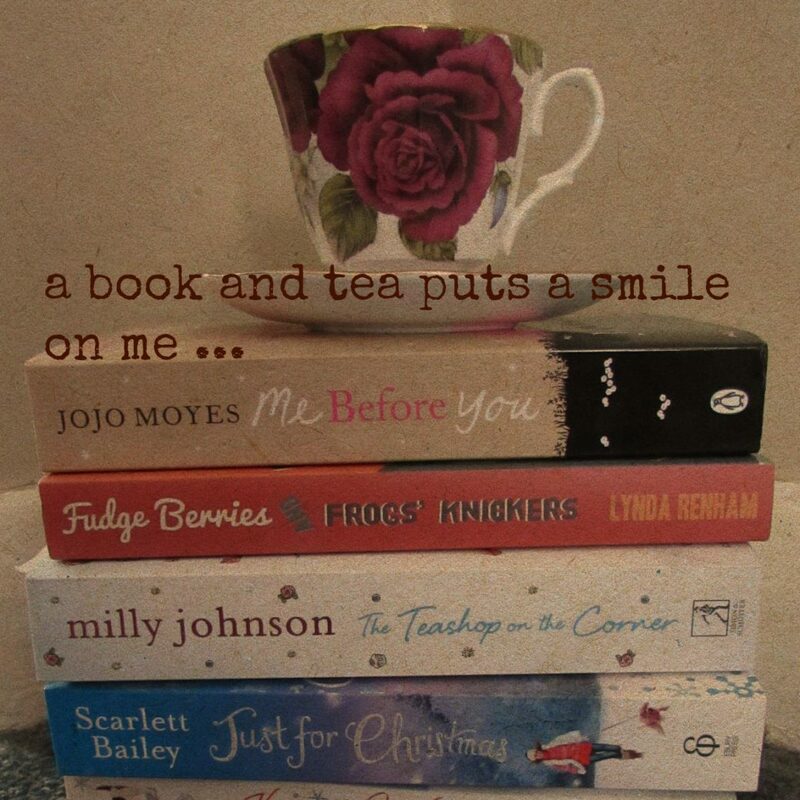 The books are based on the complicated lives and loves of friends set in an American college. Can friends ever develop more than just platonic feelings? Is love worth the risk of friendship? Let’s Just Be Friends – Tyler loves Rose and Rose loves Tyler but they both haven’t admitted their true feelings to each other. There is also the added complication that Tyler has a girlfriend, Georgiana. Tyler and Rose have been best friends in like forever and when Rose finds herself temporary homeless she moves in with Tyler. Their best friends relationship was working well until Tyler and Georgiana got together. Georgiana is jealous of this BFF relationship between Tyler and Rose and she feels there is more to this platonic relationship. When an unexpected change in this friendship heats up Tyler becomes very confused. Georgiana schemes a plan to embarrass Rose but it backfires when Ethan, Georgiana’s brother falls for Rose. Georgiana’s scheming continues and she does all her best to keep Tyler and Rose apart forever. Can Rose open her heart and let others in? Can Tyler commit to a relationship? I loved this love story it was fresh, fun and flirty. A YA romance that was quite addictive and I couldn’t wait to read more of this sizzling chemistry between friends. I loved how the author, Camilla Isley, broke up each chapter with different character perspectives. The angst between the BFFS was truly felt with their constant battle of emotions, it was very poignant but also electric at times. Friend Zone – sees us continuing on from the story from Let’s Just Be Friends with a startling discovery. We are then transported back to 7 months previously when we are introduced to new friends struggling with their feelings for each other. This story focuses on Alice and Jack. Alice and Jack are studying the same course in college and as soon as Alice met Jack she felt strong feelings for him. However, Alice didn’t reveal her true feelings to Jack for a long time but after making a pass at him and being rebuked by him she is embarrassed and angry with herself. She vows to make him jealous and starts dating his ‘wingman’ and super popular captain of the basketball team Peter. Peter is a player but when he meets Alice he sees more in her than his previous one night stands and a serious relationship develops between Alice and Peter. This brings outrage to Jack and his jealousy spirals out of control. Once again we are treated to chapters from different character perspectives with the young adults battling their confused emotions with each other. Has Jack left it too late? Another great fun love story from Camilla Isley that concludes the story in Let’s Just Be Friends and introduces us to more friends with heart breaking turmoil.